The financial markets are in a constant state of flux. Judging from the current volatility in equities markets, one would be remiss not to pay attention to economic indicators when making trading or investment decisions. For example, one of the most important components of investment-related decision-making is interest rates. On Wednesday, 21 March 2018, the Fed FOMC will be meeting to discuss another possible rate hike. The federal funds rate (FFR) is expected to rise 25-basis points in the region of 1.50% – 1.75%. The current probability of such a rate hike taking place is 83.1%. This has far-reaching ramifications on a typical US household’s ability to manage debt repayments. For starters, every time the Fed increases interest rates, it has a knock-on effect through banks. Stock markets do not take kindly to multiple successive rate hikes, given that this is more than a once-off phenomenon – it is a pattern. When the federal funds rate rises, this means that the loans held by listed companies are subject to higher repayments. This eats into company profits and reduces the bottom line. More importantly, it affects companies from the consumer side – lower levels of personal disposable income result in lower purchases of goods and services. Clearly, the domino effect of rising interest rates and the broader economy is evident. What Techniques Are Households Using to Effectively Manage Debt? The first element of effective debt management is acknowledgment of debt. Once you are aware that debt is an issue that requires urgent attention, you have taken the first step in a proactive approach to debt elimination. The statistics are unequivocal in this regard: Household debt in the United States for example is approaching $13 trillion, meaning that an increasing portion of every paycheck is going towards repaying the interest and principal on debt. Rising interest rates do not bode well for those with high levels of debt, and especially those with variable debts. Here in the UK, a similar problem exists. UK household debt has steadily been rising, and as much was attested to by John McDonnell, the shadow chancellor of the UK. By the end of 2018, it is expected that the average UK household will be indebted to the tune of £14,000. By 2019, this figure could increase to £15,000 +. If projections are correct, that number could spiral to £19,000 by the end of 2022. This is part of a much bigger economic quagmire that currently grips the UK and the global economy. For many years after the global financial crisis, we witnessed quantitative easing – monetary accommodation replete with low or near-free access to lines of credit. As the global economy started to mend, central banks wanted to prevent inflation from taking root. They do this by raising the interest rate. The Bank of England, the Fed, the Bank of Japan, and the European Central Bank all follow the same textbook rules. When inflation starts to rise, interest rates must rise to drain excess money from the economy. Increased interest rates encourage higher levels of saving, and simultaneously discourage higher levels of loans. 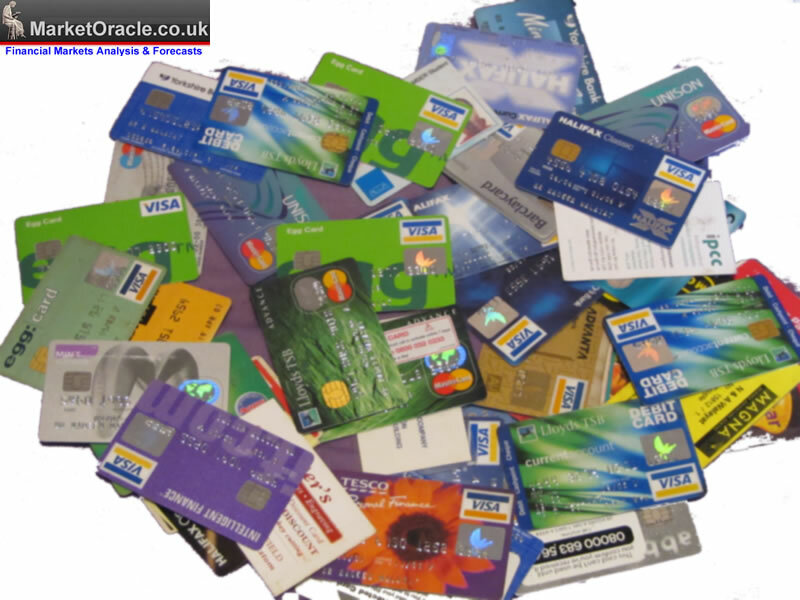 One way to manage debt on a personal level is consolidating all similar debt such as credit card debt into a single figure. Once that figure has been evaluated, and audited for accuracy, a debt consolidation loan could be used to pay down that debt. The merit in such a technique is the lower interest rate on the debt consolidation loan versus the high APR on the credit card debt. Britons across the board are using this resource for managing debt repayments on unsecured debts like credit cards. It is a useful tool that can certainly put more money towards savings and retirement as opposed to paying down high interest on loans.